The Christian espionage novel entitled Heart of Terror was just released. One review's first words were that it is a well-written, engaging novel". He goes on to say: "The story is a low-key, solidly written account that reveals some of the inner workings of the Muslim world in Iran and Saudi Arabia... The story is engaging and flows smoothly in a steady rhythm... It is an entertaining and though-provoking story." The Midwest Book Review said: "Heart of Terror is and exciting twist of thriller and faith, very much recommended reading." 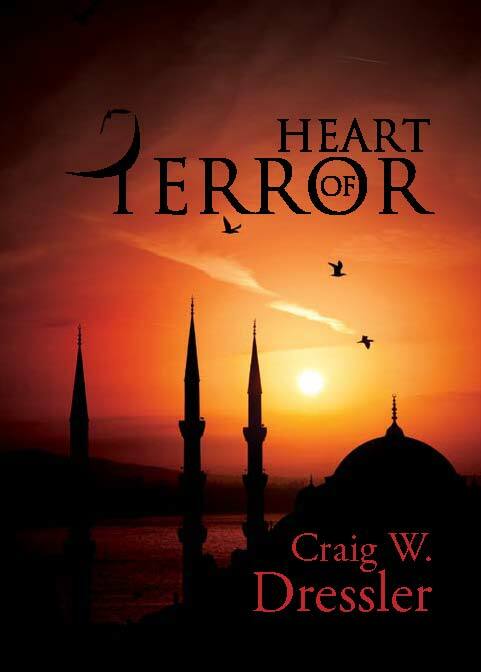 Heart of Terror is only available by sending $12.00 to Craig Dressler at General Delivery, Christmas Valley, OR 97641.